Grab attention for your city’s celebration with the Kansas City Postcard Mailer! 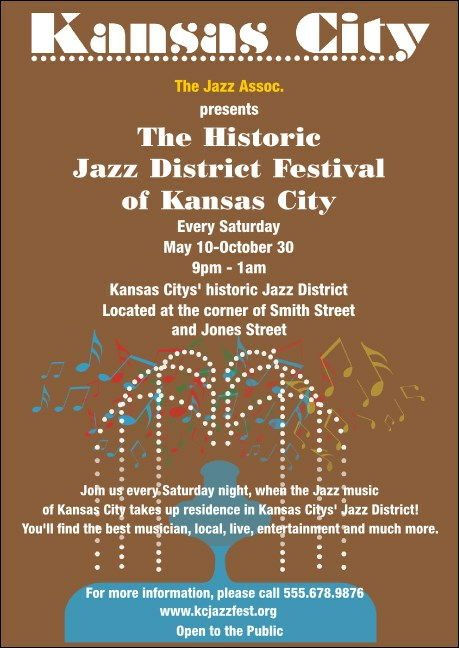 Its sparkling fountain and dancing music notes eloquently capture the jazzy, creative essence of KC. With seventeen text lines, it’s got plenty of space for all your celebration’s details. Once custom printed, it is mailed directly to your prospect list via USPS First-Class Mail. Convey your function’s atmosphere and engage your audience with TicketPrinting.com postcard mailers.